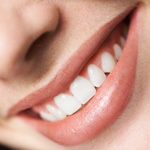 Smilecare Family Dentistry is a leading dental provider in United States of America. Smilecare Family Dentistry offers dental specialties in Orthodontics (braces), Pedodontics (children care dentistry), Periodontics (gum care), Endodontics (root canals), and Oral and maxillofacial surgery. The dental company also accepts over 200 plans from various medical insurance providers. The patient service of Smilecare Family Dentistry is cleanings, dental procedures, orthodontics, cosmetic services, emergencies, pediatric dentistry, etc. The Smilecare Family Dentistry Company also has special offers on its dental implant, whitening, smile plus, orthodontics, wisdom teeth extraction, and in patient exam and X rays. Appointments can be made online and via phone calls. There are currently 0 consumer reviews about Smilecare Family Dentistry available. Share your review. Please take a note that you are about to post a public review about Smilecare Family Dentistry corporate office on CorporateOffice.com. This review will be public, so please do not post any of your personal information on this website. If you would like to contact the corporate offices of Smilecare Family Dentistry, please use their contact information such as their phone number, website, and address listed above to contact them. However, sometimes staff from Smilecare Family Dentistry headquarters do read the reviews on this website.